Mr Zaki Almallah is currently away in the United States for teaching, for further information please contact Farah Baig at the Bladder Clinic on 0121 446 1684. Mr Zaki Almallah is consultant urologist at the renowned University Hospital Birmingham (The Queen Elizabeth Hospital Birmingham) since 2003 and founder of The Birmingham Bladder Clinic in 2005. Mr Zaki Almallah is Birmingham and West Midlands specialist in voiding dysfunction, urinary incontinence, bladder pain, cystitis, Green Light Laser Prostatectomy (BPH) and urinary reconstruction. 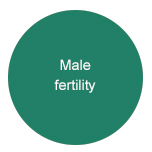 Zaki Almallah is the West Midlands male infertility specialist with large tertiary practice for patients with low sperm count, azoospermia, micro-dissection testicular sperm extraction and vasectomy reversal. Mr Zaki Almallah is one of the most experienced surgeons in UK in the management of patients with urinary incontinence (leaking urine) following prostate cancer surgery (post prostatectomey urinary incontinence). He is a leading urologist in the UK in performing the artificial urinary sphincter (AUS) and the Male Sling. Mr Zaki Almallah has published widely and he lectures regularly to other urologists and doctors about his experience on the bladder pain, the male sling and artificial urinary sphincter (AUS) at national and international conferences. These conferences include the British Urological Association and the prestigious American Urological Association annual scientific meetings. Mr Zaki Almallah MB ChB (Hons), MD (Aberdeen), FRCS (Edinburgh), FRCS (Urology) started his surgical training with research at the University of Aberdeen and Aberdeen Royal Infirmary, in 1998 he moved to Birmingham for higher urological surgery training including fellowships in Germany and the USA. Mr Zaki Almallah is very active with patient support groups, he is the medical advisor to the COB Foundation (Cystitis and Overactive Bladder Foundation). Zaki Almallah provides the media with opinions and views on various urological issues that feature in the Daily Mail, She, Prima and other magazines and online publications on bladder pain, cystitis, vasectomy reversal and bladder health advice and comments. Mr Zaki Almallah features regularly on the popular Channel 4 Embarrassing Bodies since 2007. The programme featured Zaki Almallah operating on patients with urinary incontinence following prostate cancer (AUS artificial urinary sphincter and the male sling). This was watched by millions of amazed viewers. In 2012 and 2013 he was the guest specialist on the red sofa of Live from the Clinic, a prime time national television health programme on Channel 4. Chair, organising committee, “Urodynamics: the practical course”, University of Birmingham, February 2005. Member, Medical Advisory Panel, Cystitis and Overactive Bladder Foundation (the COB charity), August 2006-present. Member, urology curriculum development group for fourth year medical students, University of Birmingham 2003-2007. Lecture, National Urogynaecology Conference. University Hospital of Leicester March 2007. Member, organising committee, 14th annual scientific meeting of the UK Continence Society (UKCS). Birmingham April 2007. Member, South Birmingham Primary Care Trust steering committee on the management of incontinence. NICE-National Institute for Clinical Excellence-Urology National Advisory Panel, June 2007. Lecture and workshop, UK National Continence Forum, London September 2007. Reviewers Panel for European Journal of Obstetric and Gynaecology and Reproductive Biology 2007-present. Reviewer, International Urogynaecology Journal, 2009-present. Lecture, the Welsh National Bladder Forum, Cardiff, June 2008. Member, The West Midlands Specialist Urology Training Committee, 2008-present. Lecture, Male Slings-The state of play, The British Association of Urological Surgeons Annual Meeting, Glasgow, June 2009. Lecture, International round table discussion on Interstitial cystitis/painful bladder syndrome, Glasgow, June 2009. Invited Speaker, Experience with bulking injections, International Continence Society joint meeting with the Pan-Arab Continence Society, Egypt, February 2010. Advisor to the HTA (National Health Technology Assessment Programme). In 2010, I reported on conservative treatment for post prostatectomy incontinence. 2011 and 2012 reports on post-prostatectomy incontinence. BAUS Plenary Session Speaker, Management Pathways for Post Radical Prostatectomy Urinary Incontinence, British Association for Urological Surgeons Annual Meeting, Manchester, June 2010. AUA Invited Speaker, Post Prostatectomy Urinary Incontinence, American Urological Association Annual Meeting, Washington 2011. AUA Invited Speaker, Post Prostatectomy Urinary Incontinence, American Urological Association Annual Meeting, Atlanta, 2012. AUA Invited Speaker, Post Prostatectomy Urinary Incontinence, American Urological Association Annual Meeting, San Diego 2013. To view a full list of Mr Zaki Almallah scientific publications on Google Scholar please click here. The principal staff of the Bladder Clinic will make the appropriate referral to other specialists locally and nationally if required.